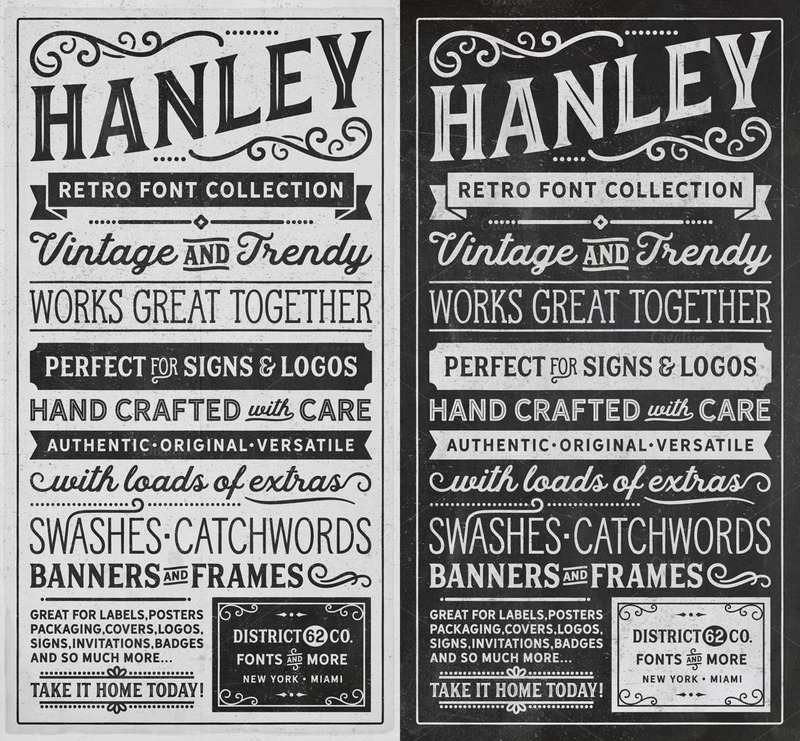 Hanley Font Collection is a hand writing script created and published by DISTRICT62, a freelance graphic designer from Bandung, Indonesia. Combining brush lettering with traditional hand writing, De Arloy is is multipurpose and flexible, make it easy to match with another typefaces to create some beautiful project such as wedding invitation, vintage design, greeting card, poster, book cover, illustration, etc. Get great handwriting with De Arloy! A font description published on Friday, May 6th, 2016 in DISTRICT62, Fonts by Andrei that has 7,472 views.